It started of with Mahesh Reddy, Vinay S Kumar and I heading for Bandipur late night. Our destination was Jungle Lodges. It had been raining tigers over the past few days in Bandipur, with sightings of them for over an hour. 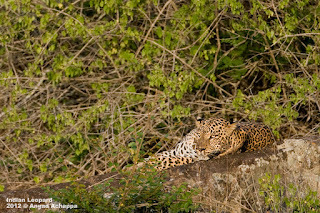 For some strange reason i just knew it, what we were going to see was a Leopard, and that too one on a rock, an image i'd only dreamt of making. It was just two minutes into the safari, when i spotted a thin stripe of something golden-ish on one of the rocks and decided to wait for a few seconds to confirm that it was a leopard before shouting 'LEOPARD LEOPARD LEOPARD'. This was the very same rocky area that i had seen way back in 2008 and had dreamt of seeing a cat on it from that very first safari. I cannot explain the feeling of seeing a cat at the very same spot id dreamt of for four years. Hopefully you like the images of this sighting as well!! Both the images were shot using a Canon EF 600mm F4 L IS USM mounted on a Canon EOS 20D. Both Mahesh's & Vinay's images can be viewed at Mahesh Reddy Fotografy & Vinay S Kumar Photography. Beautiful animals Angad. I am pleased you got your dream. Amazing pics! That must be adventurous and thrilling at same time. 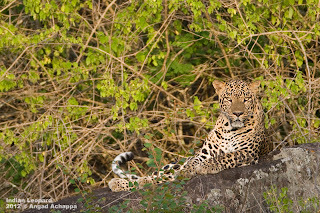 How very wonderful for you and such grand images of the Leopard as well!!! Such images as these will remain with you for ever. 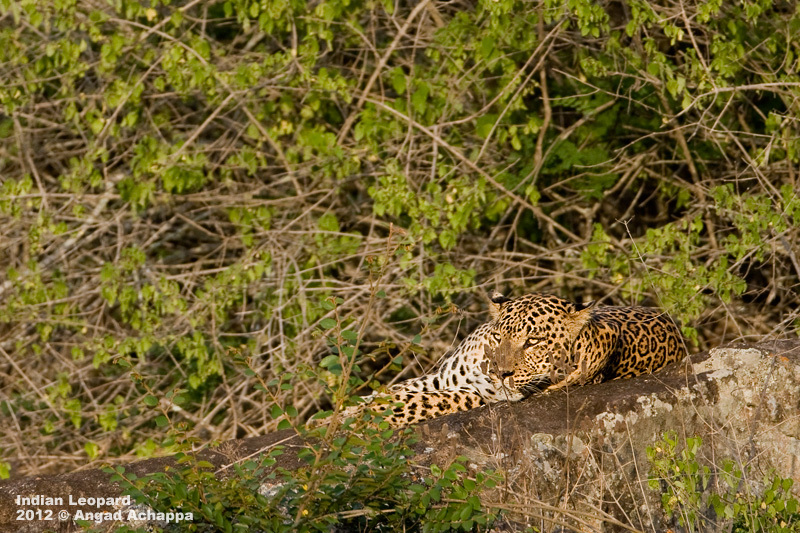 Brilliant images of the Leopard. Excellent photos on the Leopard! It’s good being here again. Awesome shot! You're a lucky chap or hard-waiting. I agree that the thrill of witnessing the beast in person and seeing it in a blog are two completely different, incomparable things. I wish I could get to see the beautiful beasts in person. Good dreams! Great information! I am very fond of the wildlife and love to know information about it. nice blog......I am very thankful to all your team for sharing such amazing information.Bandipur is a National Park and a Wildlife Sanctuary. Bandipur Wildlife are located around the park area and provide comfortable accommodations. Exciting captures! Planning to visit Bandipur in October. Any suggestions on the cam?